As of today - March 30, 2018, disruptive Chinese tech company Xiaomi has already opened two physical stores in the Philippines. One is located at the 4th level of Trinoma Ayala Mall in Quezon City - just beside the cinema area - while the other is on the same floor of SM MegaMall Building B in Mandaluyong City. 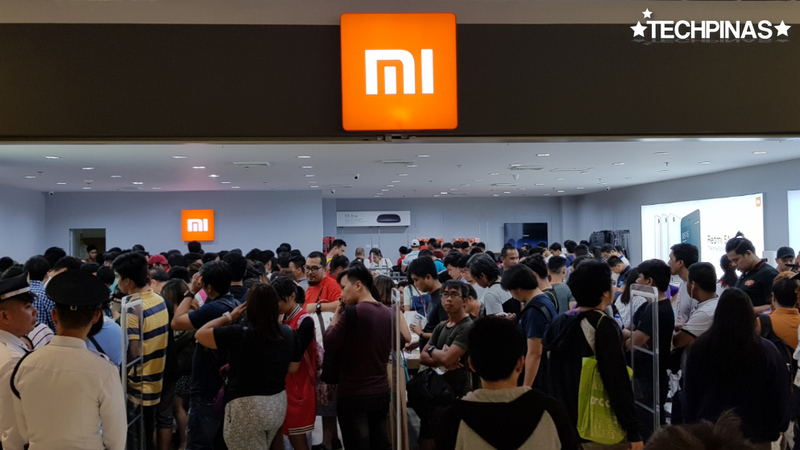 Both stores attract hundreds of Pinoy consumers every day largely because of the very competitive prices of practically all products that Xiaomi currently offers -- from Android smartphones to gadget bags, ultra-thin laptops to running shoes. Together, these two authorized reseller outlets are the most accessible experience, commercial, and after-sales hubs for Mi Fans in Manila and nearby provinces. But what about those in Visayas and Mindanao, you ask? Well, if you're one of them, you'd be glad to know that Xiaomi Philippines is planning to open a total of five stores across the country in 2018 and two of which will be in Visayas and Mindanao, respectively. To quote Mr. Chen, "Actually, the plan that we have this year is to have five (stores in the Philippines.) [...] We are planning to have three in Manila (or in Luzon) and another two, [...] maybe in Cebu and in the south, Davao. Probably, one in each city. So this year, we are looking at five (in total) but again, depending on our status (and) if everything goes well, we might (even) look for more." So why is Xiaomi finally opening all these brick and mortar outlets across the Philippines instead of just selling their products online? "The online platform (or) e-commerce gives us fast distribution to everyone in the country (even without having to spend) a long time building our infrastructure. In terms of coverage, online is perfect and that's why we had it in the beginning. But then, later on, we realized that coverage is not enough. We need to let people touch and feel (our items). This is something that we (can't do just by selling online). In the end, many consumers still prefer to touch and try the product before they (make a decision to purchase it)," says Mr. Chen. In another exclusive interview that I had with him after the opening of the Mi Store in SM MegaMall last March 17, 2018, he added, "(The launch of these outlets) signifies and re-confirms Xiaomi's re-entrance in the Philippines. [...] The opening of the Mi Shop brings confidence [...] that Xiaomi is here for good. We are here to provide more valuable products with great prices to everyone here in the country."